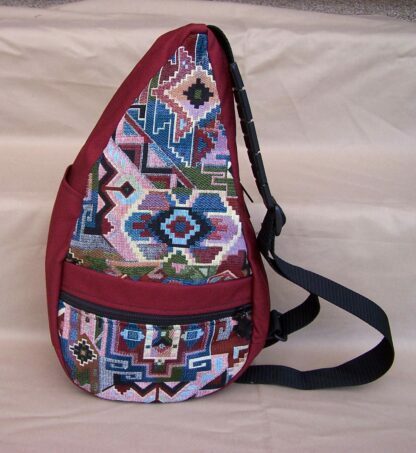 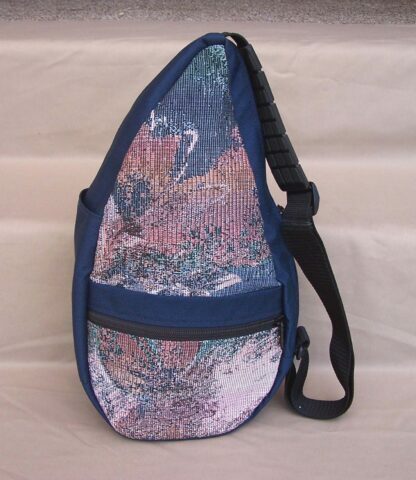 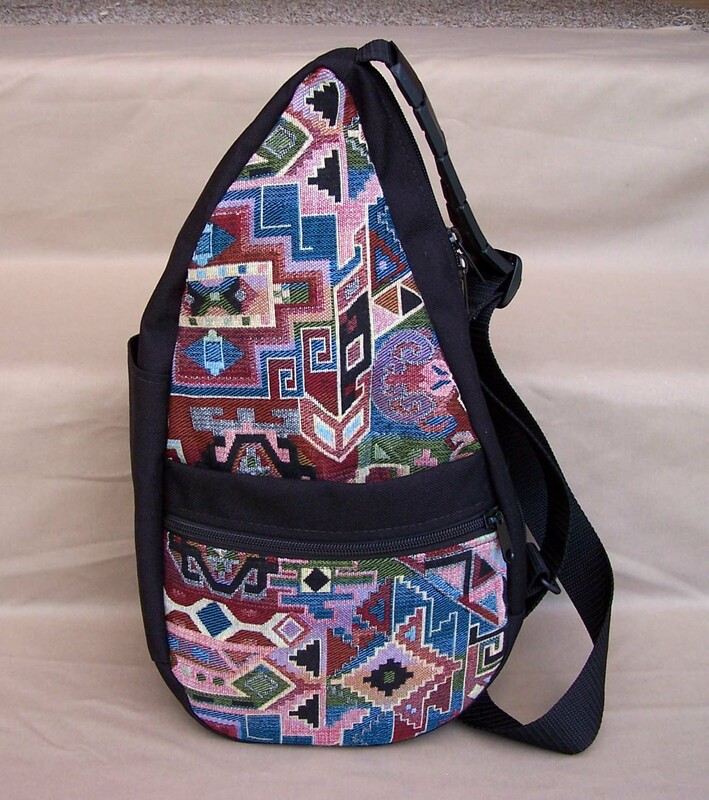 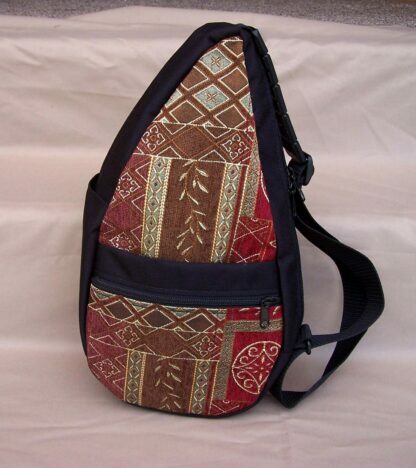 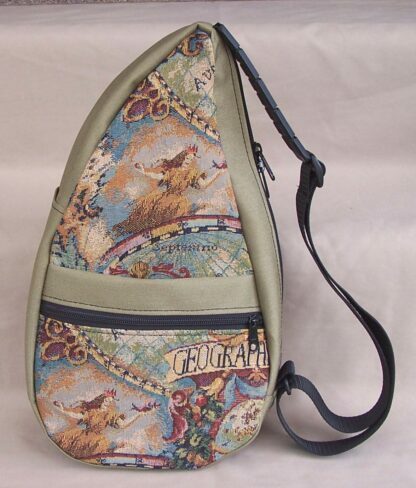 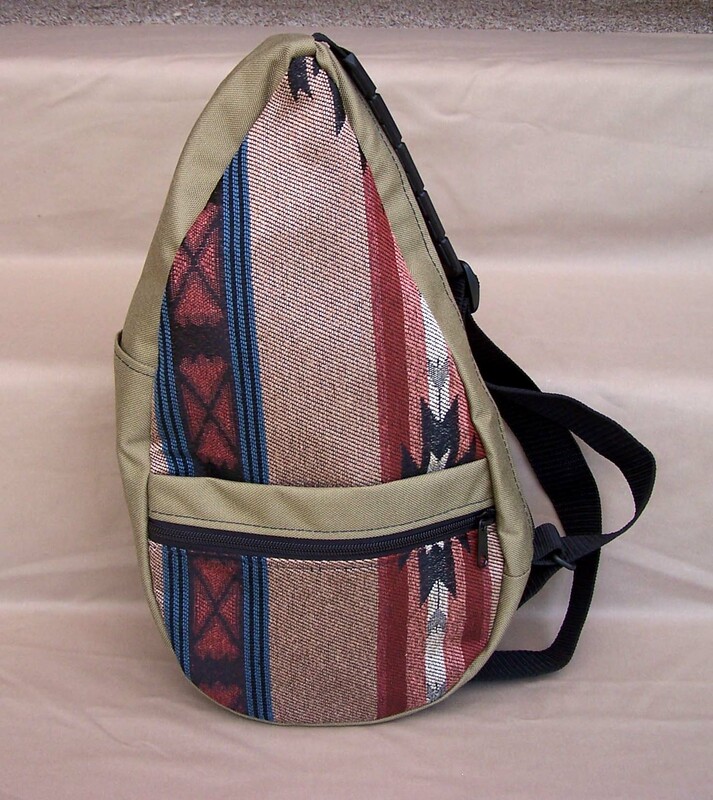 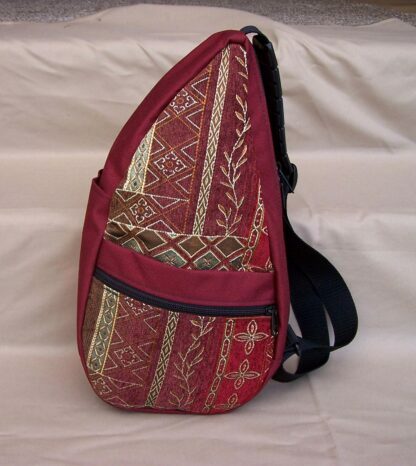 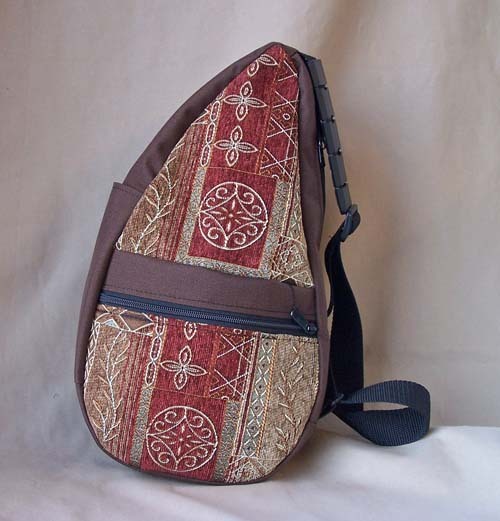 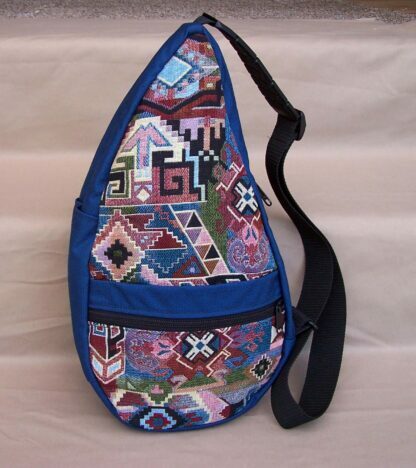 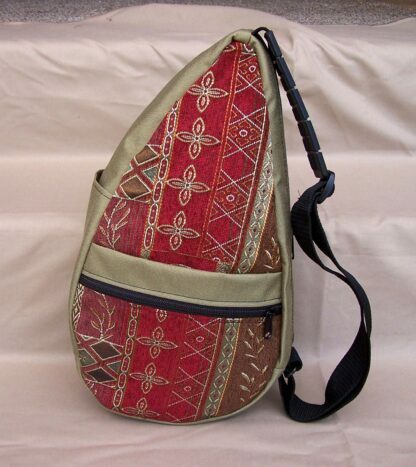 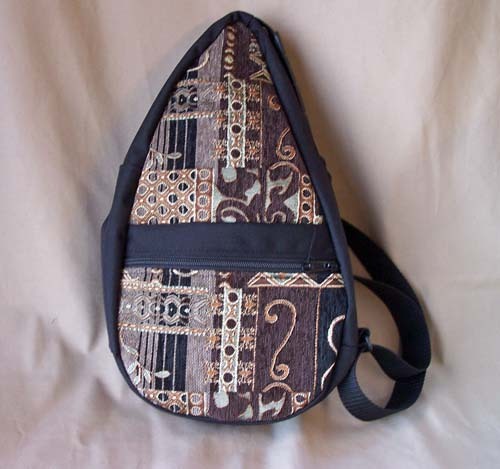 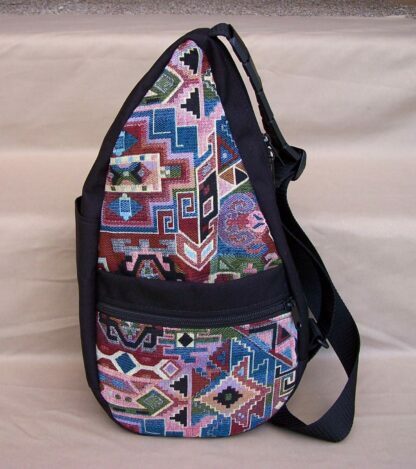 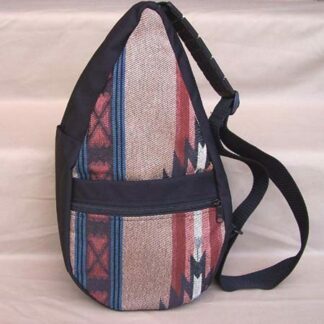 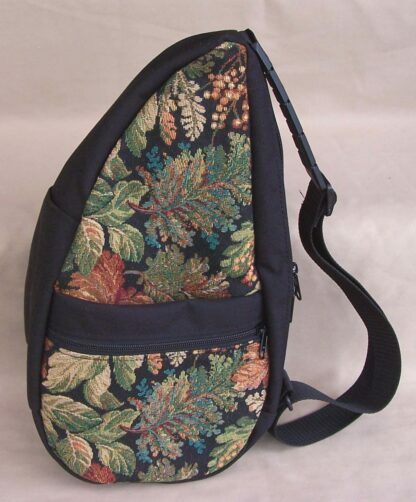 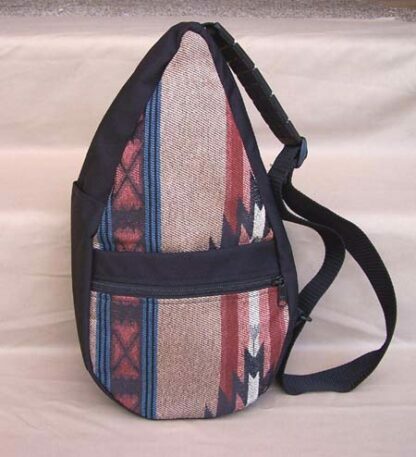 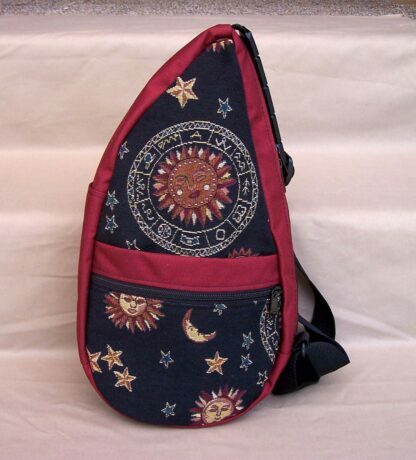 Tapestry Teardrop Bag: A popular shape that’s easy to carry and lots of pockets. 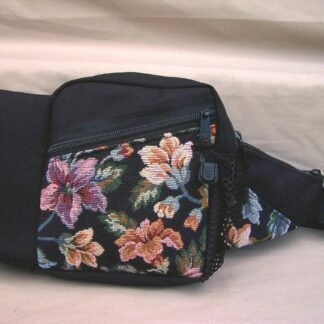 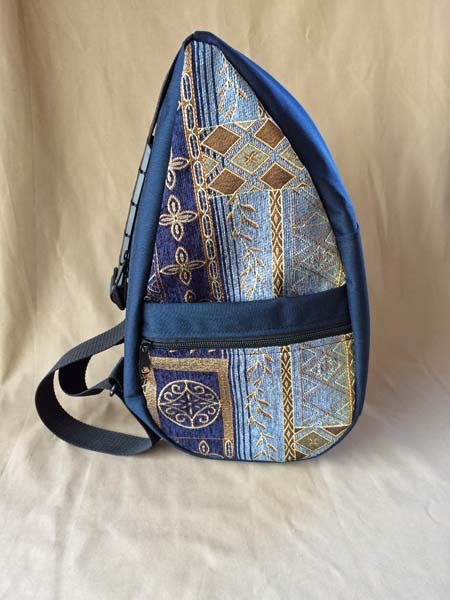 Tapestry Teardrop Bag (15H x 9L x 5D) Lots of Pockets! 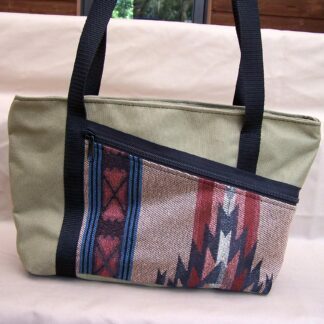 Five on the outside; pencil holders, key hook and five more pockets on the inside. 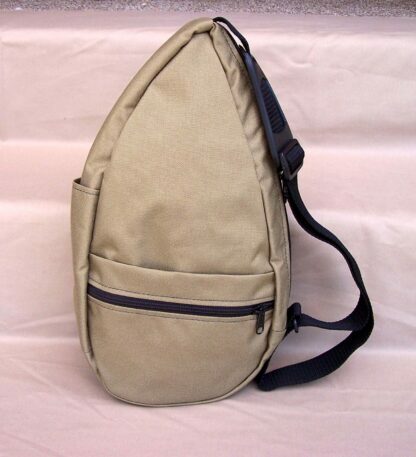 Has a non-slip shoulder pad for securely slinging the bag over one shoulder. 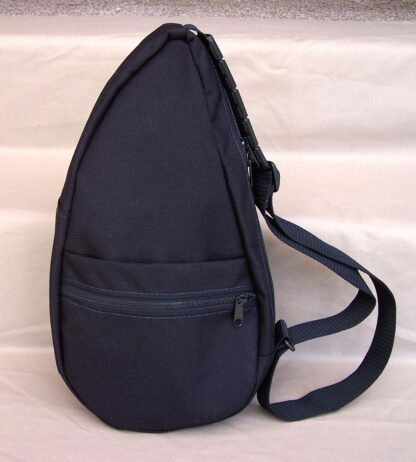 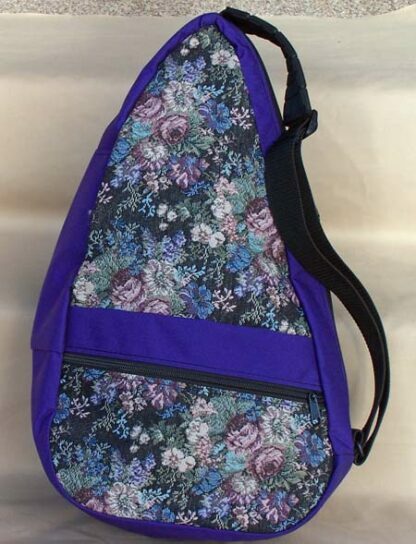 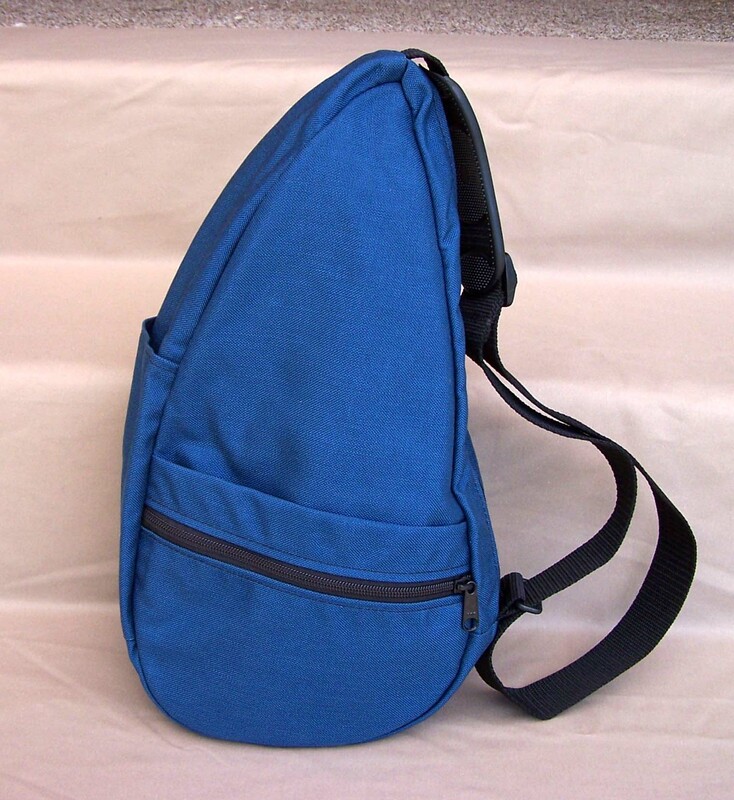 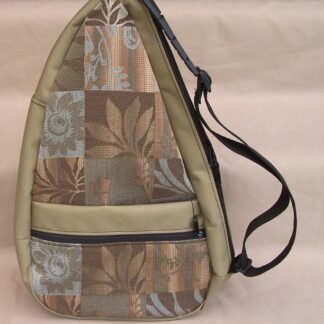 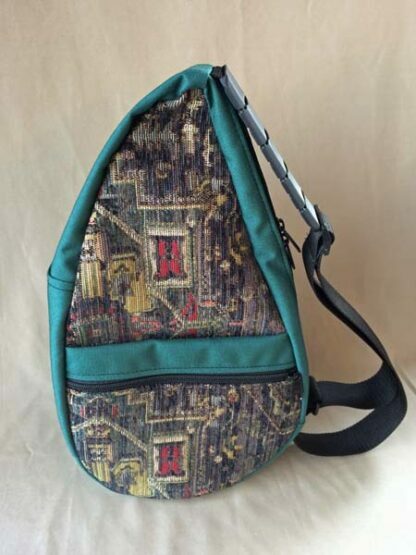 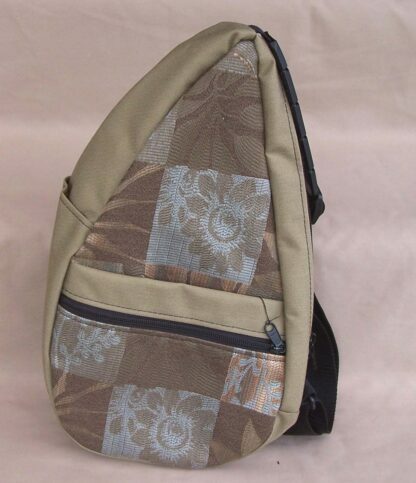 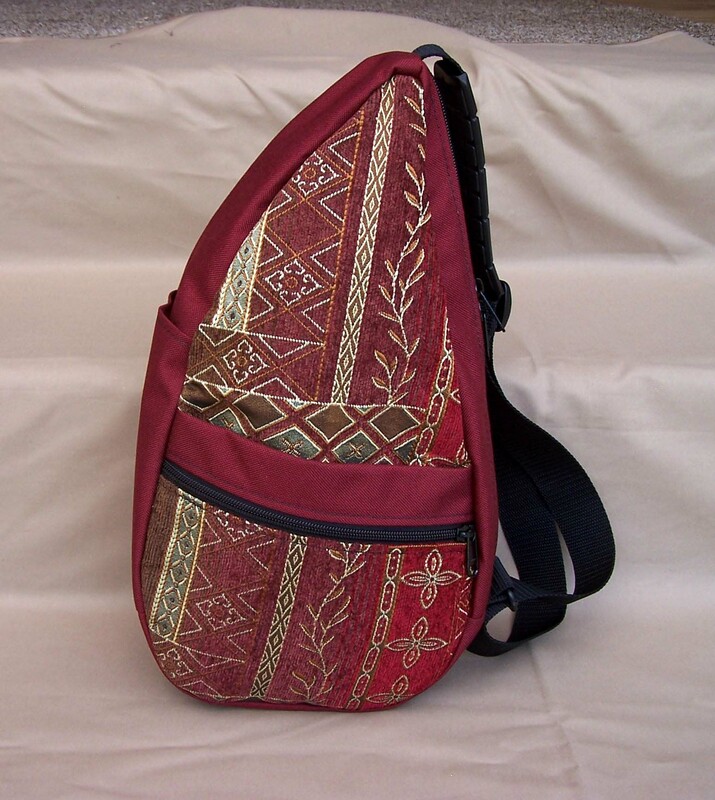 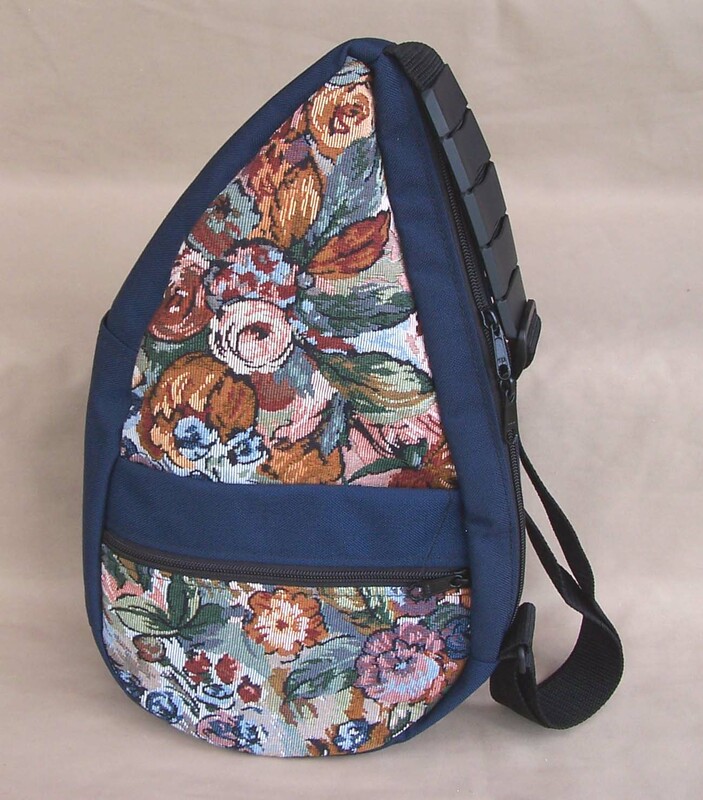 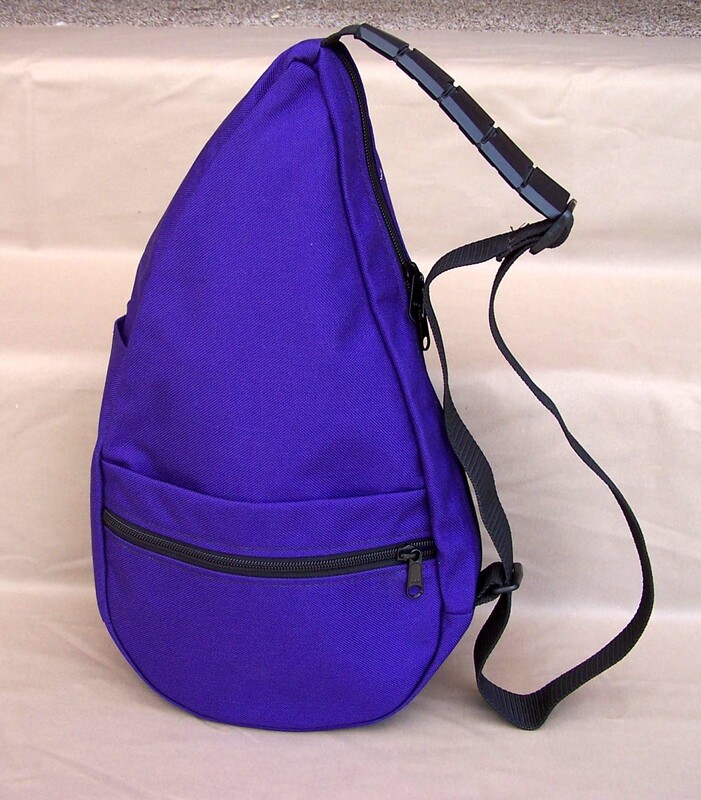 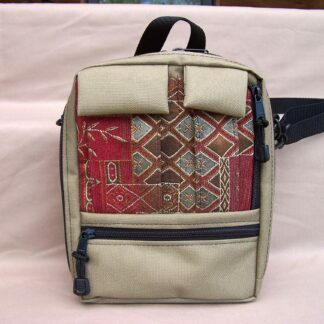 Also has a adjustable strap so that the bag can be worn diagonally across the body – either in front for more security, or in back when you are on your bicycle or something.